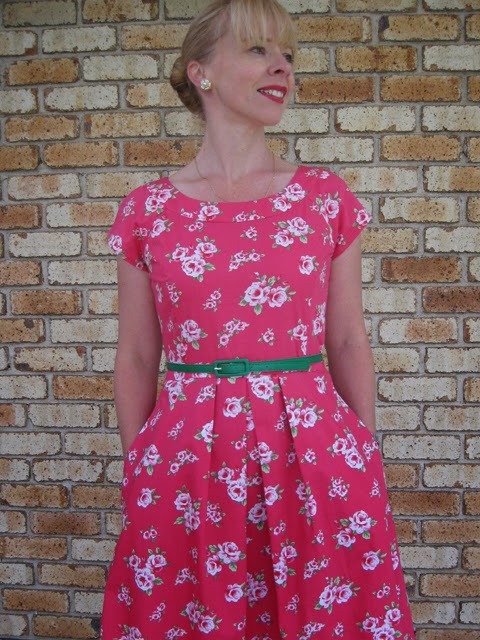 Simplicity 2588 is one of the first patterns I purchased when I started sewing for myself again. 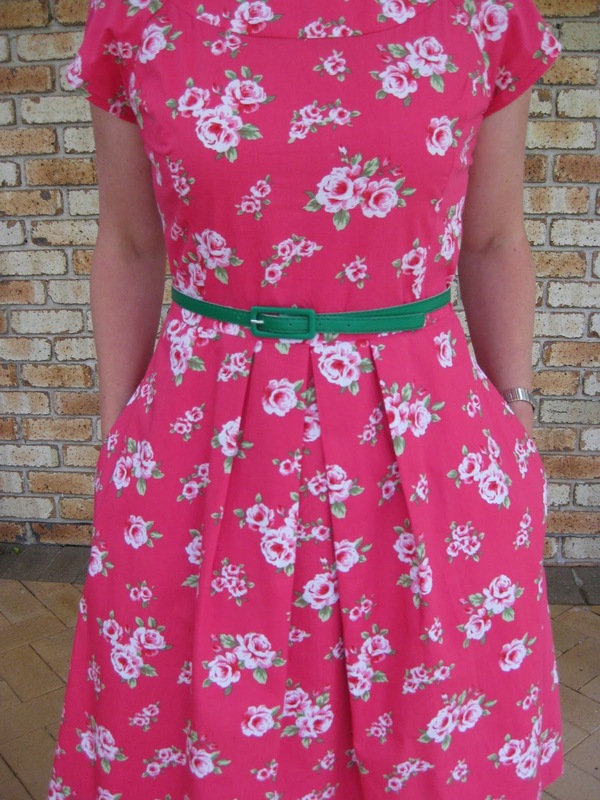 In fact, I made the flared skirt ages ago in a quilting cotton and really liked its flattering shape, although these days it only gets pulled out for Me-Made-May. It caught my eyes in “blogland”, I think one of the first versions was this one on the Tessuti blog and then this one over on Bernie and I and so many more, but just a google image search throws up many many amazing versions showing this pattern looking fabulous on just about every figure type. I don’t know why it has taken me so long to get on this particular bandwagon, but I guess I was waiting for the right fabric to come my way and be in the mood for it. In a flurry of activity last week I made up two versions of this pattern back to back. Mainly because I have been eating way too much chocolate/food in general and managed to increase my waist measurement by a good 2 – 3 inches, meaning nearly all my current makes are uncomfortably tight in the waist. Oopsy. 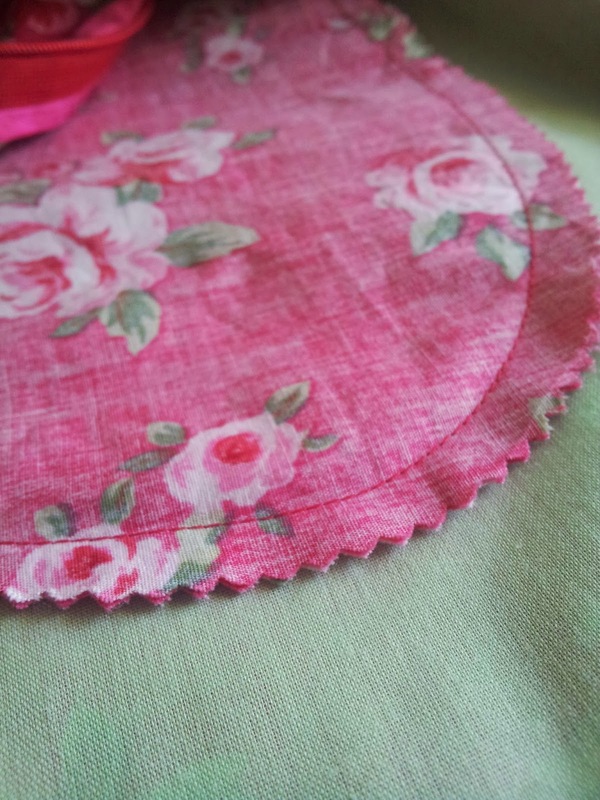 For this version I used a Spotlight cotton that has been in my stash for a while, its a super “pretty” rose print in the exact shade of deep pink that I love the most. I would have loved a self-fabric belt but I used every last remnant of fabric cutting this out and had just scraps left. 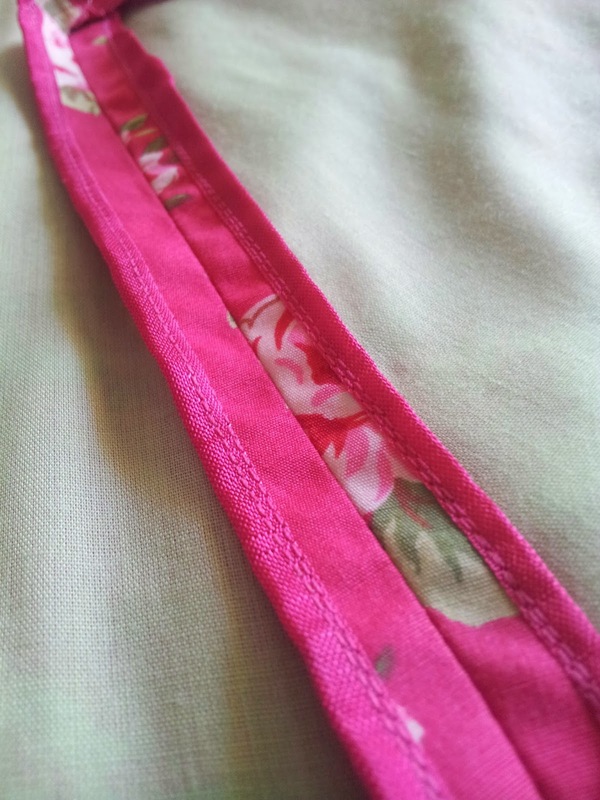 I also did a small SBA in the princess seams by taking about 1/4″ off the princess seams tapering back to nothing at the notches but looking at these pictures I think I may have taken a little too much off as there are a couple of pull lines coming from the bodice. I also didn’t do my normal forward and small shoulder adjustment. I think I get away with it with the raglan sleeve but there is some slight excess fabric that those adjustments would have taken care of, but it is not noticeable enough to cause my usual obsessive-perfectionist nature any grief. 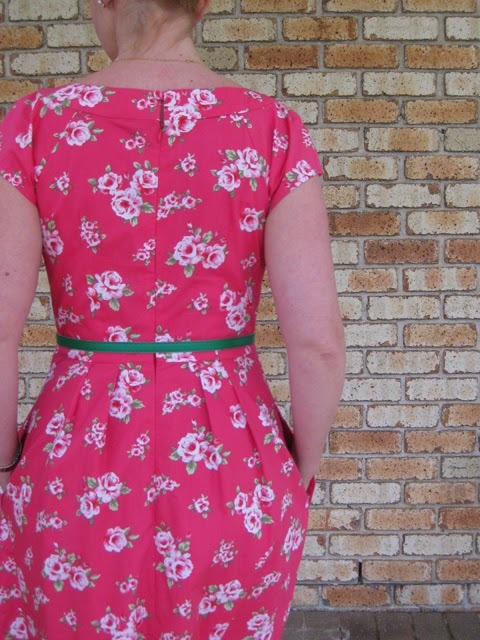 For the back I took a larger seam allowance at the neck tapering to normal at the waist to remove some back gaping. Size wise I cut a 12 bodice, 14 waist and 16 skirt. 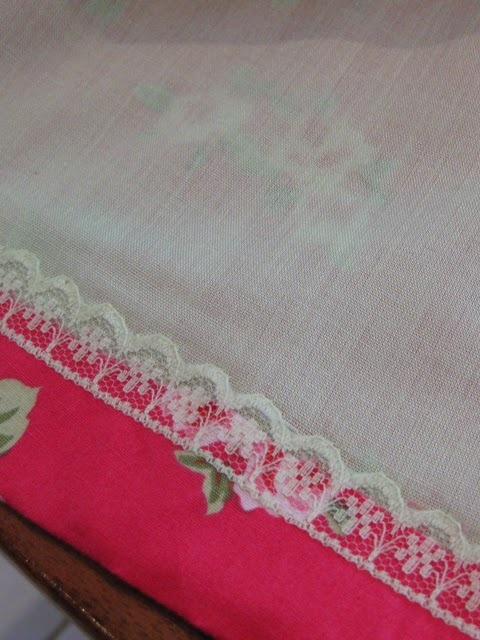 Now for the good stuff – the detail about the sewing, eye glazingly dull to a non-sew-er (I feel the need to add an extra hyphen so it doesn’t look like the word “sewer” as in toilet) but I just eat this stuff up on other blogs and I love drooling over the “guts” pictures, so here are some of this make…. 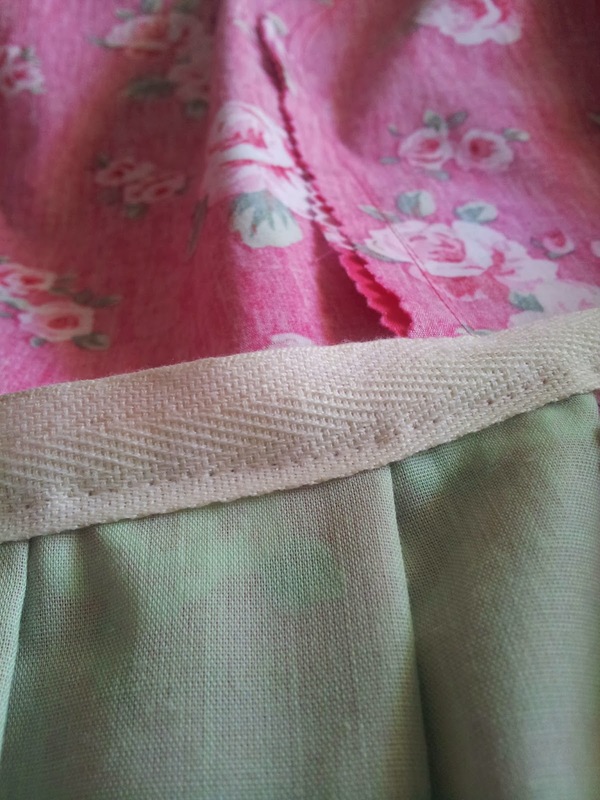 Hand stitched yoke, pinked seams in the bodice. Not sure how they will hold up but I was feeling “vintagey”. 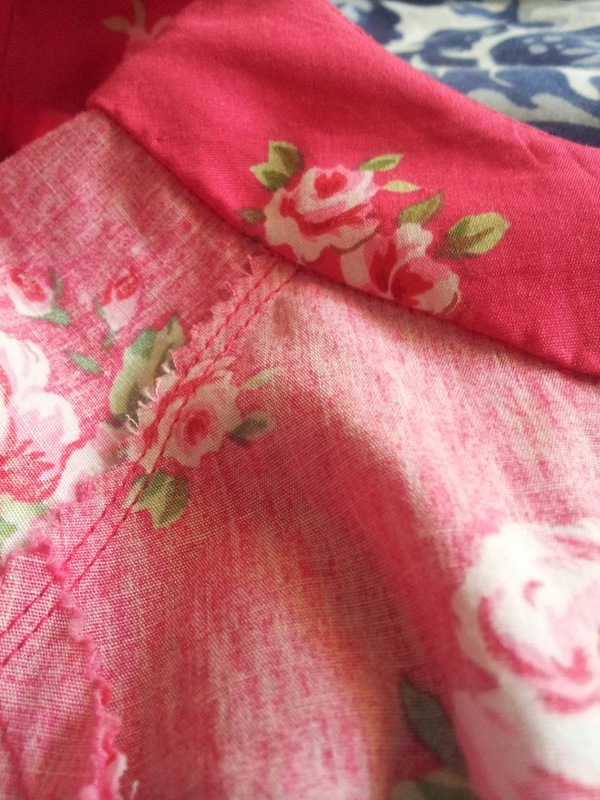 Pinked pocket bag seams and skirt underlining. The bodice is unlined. My photos are a bit on the blurry side but I had a tiny window of time for some photos today and it is also FREEZING cold and rainy in Sydney so the light in general is rather murky (which is so bizzare are only a couple of weeks ago it was a massive heat wave and the whole city was smothered in smoke from the bush-fires – forest fires to the non-Aussies – and today I am wearing a woollen coat. 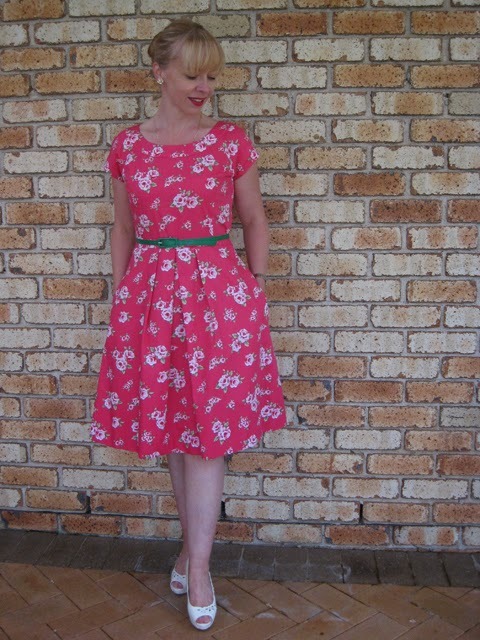 Oh, and I’ve had a nice response to the pattern giveaway for Vogue 1207. It is closing on Friday so there is still plenty of time to enter if anyone wants to have a crack at getting this pattern for free. I forgot to mention in that post though that the size is the larger range – from size 14 up to a size 20. You can view the Vogue size charts here or enter the giveaway by leaving a comment on the post here.